After Sunday evening’s more substantial quake here in Wellington it took a couple of days before we could gain access to the building. The building has been the “poster boy” for the quake so for a couple of days we knew more about what had happened to our office by watching TV. However, we were invited to return after structural engineers had been through the premises on Wednesday. We’ve got a few photos here for you if you’re interested (click here) but its back to business as normal!! Speaking of which it’s not all about foreign pilots – all this hype in the media over the Skills Application by Air NZ is just that. However, what we do have is a very serious looming shortage. This is not hype but based on fact. Here are our projections out to 2015 for supply of CPL A and H (click here). You will see that the numbers being produced for CPL A are roughly 100 below the long term average supply of 200 pa from the previous 20 years. For the H community the situation is significantly worse. Put this against a backdrop of over 24% of the ATPL holders being aged 51+(click here) and growth aspirations of around 5.5%pa and I think you get the picture. Our objective is very clear and this is to train New Zealanders for high paying jobs working for New Zealand operators and then supplying personnel into appropriate careers within the wider Australasian South Pacific market. We say personnel because this strategy is not just about pilots, but it’s also about the 12 core aviation careers. Pilots are the focus at the moment because the shortage is looming. Getting pilots to crew operations at the present time is not their major concern but 12 months down the track at the entry level (i.e. CPL + 50 hours) where are they going to come from? Developing and building the next generation of chief pilots in GA is a real worry because the opportunities are more diverse. Australasia is a much bigger market place. Concern is starting to be expressed over the drop off in the number of practicing B cat instructors (click here). This is important because B cat instructors are the “backbone experience” of our training machine and secondly, a reduction of 50 means training throughput is reduced and there’s a lag before we can recover. So what is the debate all about? Security of the supply of qualified New Zealand pilots into high paying pilot careers. At the present time it’s not there. This is caused in large part by incorrect government policy settings for student loan funding. Put to one side the question of whether there should be student loans or not, the reality is that for other careers fully funded loans are available but for pilots that is not the case. Students are being required to fund significant portions of their training themselves. This is in addition to the number of funded training positions being below the long term sustainability level for the industry. This is not an issue that impacts on Air NZ. Employers feeling the greatest stress at the present time are those right at the “bottom of the food chain” and flight schools. It could be argued that Air NZ is doing us an enormous favour by putting in this application. If the application is turned down, the heat comes back on training sufficient numbers at the basic level. If it’s approved, it proves our case that Government policy settings are inappropriate. Either way it confirms there’s a major problem looming. We’ll be putting in a submission – note that the closing date has been extended to 9 August and on the basis of the survey, we’re presently undertaking, it’s very likely that we will support it for the reasons outlined above. We don’t think it’s desirable to put foreign pilots into jobs that New Zealanders should fill but on the other hand, we have to have security of supply at a number of entry levels across the industry. Apologies to you H community types but essentially the forward forecast for this community is around 70 CPLs pa and from the projections the shortfalls will be around 40pa in the foreseeable future. If you would like any photos of a higher definition than just send us email and we can provide them for you. 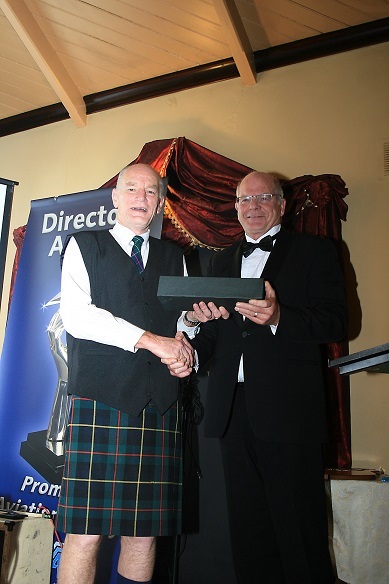 Colin Brown, President and MD of TracMap, recently awarded the Richard Pearse Trophy at our Awards Function at Larnach Castle, is well known in the Aerial Applicator industry, with most NZ based operators using their system. The company is not as well known in the wider aviation field. Tracmap has introduced a number of innovations for aerial applicators, including a very easy to use and reliable GPS guidance system for aerial spraying, a system for precision dropping of toxic baits, and more recently, a very simple system for variable rate application of spray and fertiliser. It has produced a simple system for conducting Search and Rescue missions, which is fitted into many of NZ's rescue helicopters. TracLink is its new cloud based mapping system. Since being introduced 12 months ago, over 6000 farmers have signed onto the system, and over 120,000 maps will go though it this year. While making life simpler for the aerial applicator. Variable Rate Prescription Maps - launched at the Aviation Conference, but few are geared up to use it yet. What this means is that farmers can easily order different fertilizer rates for different parts of their farm. But aerial applicators will need to have a rate control system on their aircraft for the system to work. Neighbour Notification. This idea came from a discussion with Tony Michelle last year. He suggested a simple system for making it easy for landowners to notify neighbours of impending aerial application work would go a long way to making life easier for those applicators, and reduce the incidence of complaints. External lightbar. This is mainly to cater for our USA customers who are so used to having a great big guidance lightbar sitting out on the nose that they can not envisage anything else. Plus, to be fair, some fixed wing cockpits are a bit tight, and pilots’ close range eyesight doesn't improve with age. ???? We have a couple of other things coming as well, but can't talk about them just yet. But we will announce them nice and loud when the time comes. Contact Gerald on 027 536 0879. Colin on 0274 333 033. Email sales@tracmap.com. Over the last three weeks, we’ve talked about what we are doing in branding/building the profile, how we are growing the market and the relationship with government. It all sounds good, but what are we really achieving in terms of new commercial successes? A good question! We’ve also seen some New Zealand companies achieve significant international success over the last few years. These companies, in many cases, are blazing trails that other aviation companies can follow. Next week, we’ll profile some of these companies. Some of these companies are very keen to introduce other NZ companies to their customers – it allows them to provide more value to those customers. Over time, we are also building knowledge of customers of NZ aviation companies in several markets, and building relationships with those customers. This will also allow us to introduce new prospects to them. SPECIALISED BUSINESS: Pilot Kevin Fredrickson top dressing in Manawatu with his Hughes 300. ALAN BECK: "We have to improve our image and we have to get people to realise that agricultural production represents two-thirds of New Zealand's wealth." Taranaki helicopter hero Alan Beck is on a mission to convince urban New Zealand of the value of agricultural aviation to the country's economy. Agricultural pilots have been boosting New Zealand agriculture since he was a babe in arms, he says. Kiwi pilots returning from World War II used their flying skills to spread fertiliser on New Zealand hillcountry farms, turning tough farming country into productive farmland and establishing New Zealand as a world leader in aerial topdressing. Fast forward to the late 1960s when Beck, then an agricultural contractor, gained his pilot's licence and turned his attention to the next agricultural revolution in aviation - helicopters. Now he's taking the controls of the New Zealand Agricultural Aviation Association (NZAAA) as Beck Helicopters - the country's oldest agricultural aviation company still in the hands of the original owners - celebrates its 40th anniversary. Beck, who has a Queen's Service Medal for his services to search and rescue, is concerned that New Zealand's city residents have a poor understanding of the role of agriculture in the economy and of the contribution made by agricultural pilots. But he does concede the agricultural aviation industry has not always explained its activities to the public. "We have to improve our image and we have to get people to realise that agricultural production represents two-thirds of New Zealand's wealth." As part of that push to better understanding, the New Zealand Aviation Industry Association (NZAIA) - of which the NZAAA is a subsidiary - developed an integrated environmental safety and flight safety programme called AIRCARE™ three years ago. AIRCARE™ is a rigorous code of practice for noise abatement and for the aerial application of agrichemicals, fertiliser and vertebrate toxic agents like 1080. Beck says not only is AIRCARE™ a clear illustration of the industry's commitment to the environment, but it's also a reinforcement of New Zealand's position as an international leader in agricultural aviation. About 70 of New Zealand's 90 or so agricultural aviation operators are accredited to AIRCARE™. Helicopter Association International, with more than 2500 member organisations in 70 countries, is so impressed by AIRCARE™ that it wants to be able to use it. "Our cutting-edge policy is far ahead of anything that's available in the US," Beck said. "New Zealand is well ahead in terms of compliance and codes of practice." He predicts regional councils will increasingly expect agricultural aviators to be accredited to AIRCARE™ because it ensures waterways are protected from contamination by fertilisers and sprays. Backing calls by Parliamentary Commissioner of the Environment Jan Wright for the Department of Conservation to increase the use of 1080 for possum control, Beck says laying the poison by helicopter has improved immensely since the somewhat indiscriminate methods of 30 years ago. "It'll always be an emotional topic and there's a lot of misinformation about it. 1080 has done an amazing job on the mountain [Mt Taranaki]. Tourists can't believe the number of birds up there when I fly them over it. You can see pigeons and tui. The rebound in birdlife is phenomenal." He's full of praise for the efforts Taranaki farmers have made to clean up the province's rivers. Having had a bird's eye view of them from a helicopter for 40 years, he believes they're in the best state in the country. "If people could see them from my point of view, they'd say the same. There's been a huge change in the rivers from where I see them. On mountain flights, I always fly over them to show passengers how clean they are." He points out the industry's environmental awareness is not limited to the establishment of AIRCARE™. Beck says the use of GPS and the on-farm nutrient management tool, Overseer, has also brought huge improvement to agricultural aviation. As well as documenting standards for safe environmental practice, AIRCARE™ also deals with pilot safety. He says agricultural pilots must be constantly alert to hazards in their daily operations - short airstrips, improvised landing areas, obstacles, wires and changing weather conditions. While the sector had "a brutally high" fatality rate, a pilot safety initiative had led to four years without a fatality, the longest in its history. 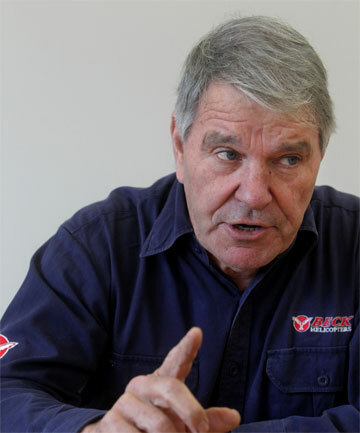 As NZAAA chairman for the next two years, Beck wants to see improvements in both the profitability and the profile of agricultural aviation. "Instead of being seen as dung dusters, we want to be recognised as professional aerial applicators. We're not pouring dust around the hills. It's a specialised business that requires some of the most demanding flying imaginable."